Combine SKY's stylish atmosphere with the creative dishes of Chef Jamie Mohn and you get a truly enjoyable dining experience. 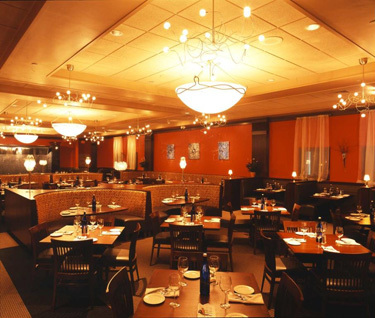 Mohn specializes in seasonally influenced, contemporary American dishes, each prepared with an inspired, fresh flair. SKY's casual yet upscale design is enhanced with sophisticated lighting and mahogany wood tones. The bar and lounge are warm and welcoming and the perfect setting to enjoy a bite to eat or a cocktail before dinner. SKY's wine list - a Wine Spectator Award of Excellence winner - is an excellent collection of over 100 interesting and delicious wines, including numerous mature vintages and sparkling, port and dessert wines.